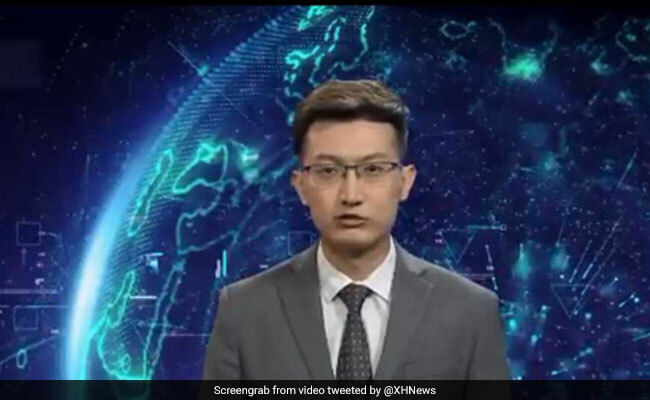 Xinhua News unveiled an English-speaking AI news anchor this week. Could AI anchors be the future of news? Xinhua, China's state-run press agency, recently unveiled virtual newsreaders that combine the images and voices of human anchors with artificial intelligence (AI) technology. According to South China Morning Post, Xinhua unveiled two AI newsreaders, one that speaks in English and one in Chinese. "Hello, you are watching English news programme," says the English-speaking presenter at the start of his first broadcast, in what many have said is a very 'robotic' voice. ""I look forward to bringing you the brand new news experiences." Developed by Xinhua and the Chinese search engine, Sogou, the anchors learned to simulate the voice, facial movements, and gestures of real-life broadcasters, to present a "a lifelike image instead of a cold robot," Xinhua said, according to the Guardian. Response to the AI anchors on social media was mixed. While some commented on the AI's lack of facial expressions and toneless delivery, others were more forgiving and more open to the idea of a virtual news presenter. This is definitely an actual person. "We will see it improve over time," Noel Sharkey, emeritus professor of artificial intelligence and robotics at the University of Sheffield, told the BBC. "The problem is that it could be very dull."